HEY FAMILIES! Looking for a family-friendly and FREE activity for the kids?! 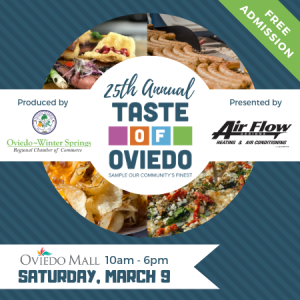 Come join us in our Kids Taste area at Taste of Oviedo where we will be featuring tons of activities, performances, and rides. For the first time ever, our Kids Area is FREE ADMISSION thanks to Oviedo City Church and Oviedo Medical Center. 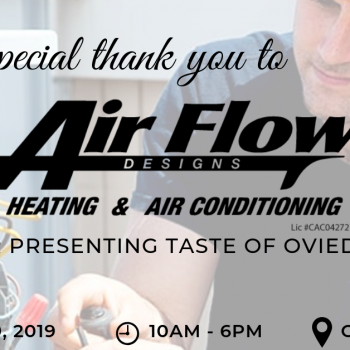 Without the support of these sponsors, this would not have been possible! 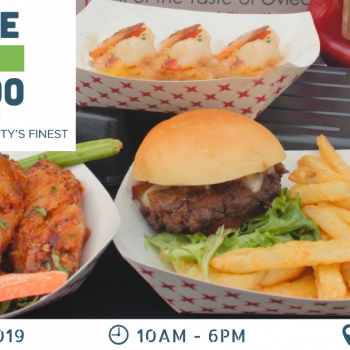 Bring your family to the 25th Annual Taste of Oviedo to spend the afternoon playing in our bounce houses, bumper boats, interactive obstacle challenge with a rock climbing slide and many more rides provided by Merry Minstrel LLC. And no worries, all these will be fully staffed because we all know safety is first!